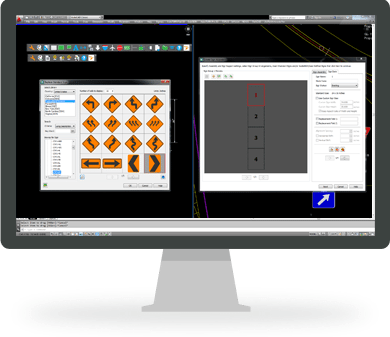 GuideSIGN Plus™ includes the latest MUTCD symbols/panels, FHWA highway font libraries, intelligent object dimensioning, and innovative sign template creation tool – to design traffic and highway signs right to standard and ready for production in just minutes.Additionally, you can now add pavement markings to your road design. With GuideSIGN Plus, you can now do more with new tools that reduce repetition and let you design with consistency. GuideSIGN Plus sets a new standard for flexibility and versatility. Virtually any highway and roadway sign can be created according to guidelines making this release the most powerful to date.